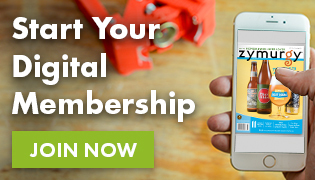 Whirpooling is an easy process to include in your brew day that can greatly impact your beers. If you have a spoon, you can whirlpool! Quicker Chilling: The time it takes to chill wort to yeast pitching temperatures is greatly decreased when whirlpooling. Because the wort is circulating, the cool and warm wort will constantly be churning and combining to promote quick chilling. Also, whirlpooling with a wort chiller can offer increased control of hitting an exact pitching temperature. 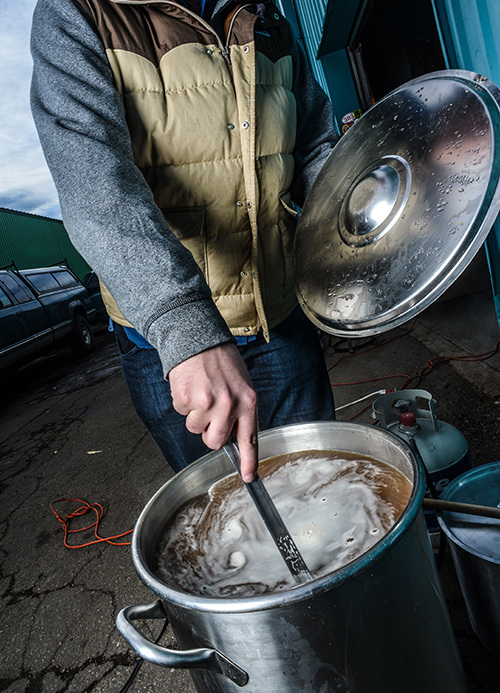 Clearer Wort: A whirlpool promotes clearer wort by collecting the cold break solids in the center of the brew kettle. The chilled wort can then either be siphoned from the side of the kettle or through the kettle valve to avoid transferring any particulate. 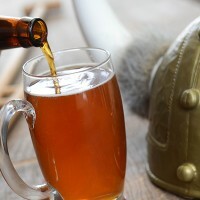 Improved Hop Flavor & Aroma: Because whirlpooling cools wort faster, post-boil hop additions instill more flavor and aroma without too much of the bitterness. Hops will continue to isomerize—the process which attaches alpha acids to water molecules creating bitterness—above 180°F (82°C). Being able to drop below this temperature will prevent isomerization in hop additions that are intended to instill just flavors and aromas. Reduced DMS: The heat from the boil converts s-methyl methionine (SMM) in malt to dimethyl sulfide (DMS), which appears in beer as an unfavorable cooked or cream corn flavor. A longer, vigours boil—especially when using Pilsner malt, which contains eight times more SMM then typical base malts—can drive off DMS. When the boil is over, the heat continues to convert SMM to DMS until temperature drops below about 140°F (60 °C). 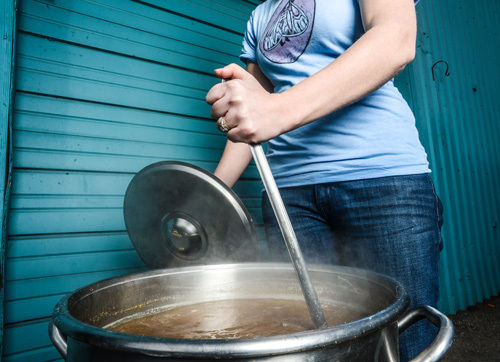 Whirlpooling cools wort quickly, reducing the amount of DMS occurring in the post-boil. 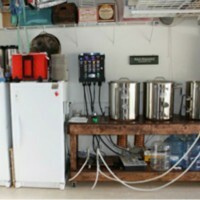 Whirlpooling involves creating a circular current in the brew kettle, and this can be done using various techniques and equipment. The simplest way, whether using an ice bath, an immersion chiller or no formal chilling method, is to stir the contents of the kettle with a spoon rapidly until a circular current is achieved. Stir along the walls of the kettle for a few minutes, taking care not to splash to prevent any chances of hot side aeration, until a strong, lasting whirlpool forms. Depending on what your goals are (e.g., clarification, hop flavor/aroma), allow the whirlpool to stand for 10-30 minutes before racking. If a pump is available, or you are using a counterflow chiller, a whirlpool can be created by angling the pump-out hose along the side of the kettle a few inches below the surface of the wort. This flow will cause the wort to spin in a circular current. Be careful when creating a whirlpool with a pump as it can cause hot wort to splash out of the kettle. One of the most effective means of whirlpooling and chilling is highlighted by Jamil Zainasheff in “A New Spin on an Old Chiller” in the January/February 2007 Zymurgy (AHA members can access this issue instantly on eZymurgy or with the Zymurgy mobile apps). Zainasheff offers an upgrade to the typical immersion chiller that makes for effecting whirlpooling and chilling. 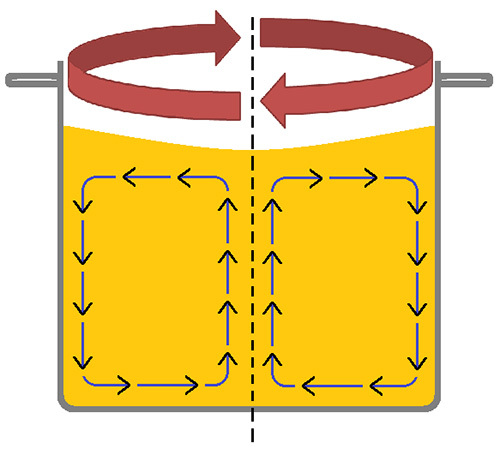 Basically, stirring the wort into a whirlpool is creating centripetal force, but because of friction caused by the liquid’s contact with the bottom and sides of the kettle, the liquid towards the bottom slows, creating a pressure gradient. This pressure gradient is lower than the upper portion of the liquid, so the solid materials in the kettle are pulled towards the center of the bottom (things move from higher to lower pressures). Isn’t physics phun?